NASA has released a 4K video tour of the moon, enabling anyone to travel their virtually from the comfort of their own home or workplace. The NASA 4K video tour was compiled from images taken by the U.S. space agency’s Lunar Reconnaissance Orbiter spacecraft, and the final result was posted on YouTube. The full video of the NASA 4K tour is embedded below. NASA’s Lunar Reconnaissance Orbiter has been flying around the moon for the better part of a decade, and scientists credit it with enabling them to make many discoveries on the moon without even leaving Earth. For example, the spacecraft located some parts of the moon that may contain ice inside of a number of caves and craters. The orbiter carries several instruments that record data on the moon and sent it back to Earth. The instruments have recorded information like temperature maps for the moon’s day and night, a spatial grid of the moon, high-resolution color images, and maps of UV light. 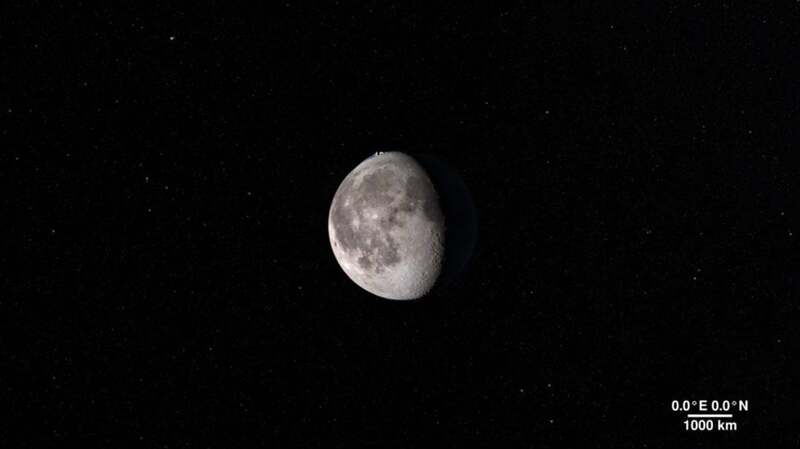 NASA has particularly focused its attention on the data collected around the moon’s north and south poles, where continuous sunlight is possible, the agency explains on the orbiter’s webpage. The agency has also been focused on the possible existence of water in the shadowed parts of the moon’s north and south poles. The orbiter mission is primarily aimed at exploration, but the agency has also been able to collect large volumes of data. Scientists have been analyzing the data sets with the idea of extending “human presence in the solar system. They’ve been able to identify points of interest for potential future lunar missions, both manned and robotic in nature. The NASA 4K video tour carries viewers around the moon and enables them to see where these important points of interest are located. The NASA 4K video tour starts by moving around the side that’s closest to Earth and then rotates to the far side. Next, it takes viewers to the north and south poles. Throughout the video, the space agency points out key features and identifies various named sites on the moon. Most of the video contains the standard grey and white imagery we have come to know and expect when it comes to photos of the moon, but there are some views that have been digitally enhanced with color, like the view of the South Pole and Aitken Basin.